Chris Cairns - I want a comedy night! The smiling assassin, Chris Cairns is a fearless, rock solid comedian and one of the most admired comperes on the comedy circuit. A friend to audiences but deadly foe to anyone thinking of heckling, Chris is adored for his charm, joyfully near-the-knuckle jokes, and nanosecond response time. Renowned as being a safe pair of hands for any occasion, Chris has grown into a comedian hugely admired by audiences and peers both in his native Liverpool and around the country. His spontaneity and natural enthusiasm have charmed even the most difficult of rooms, and there’s plenty of muscle in his magnificent material to pack a punch on the biggest of stages. Having done panto with John Bishop and enjoyed successful tours of Dubai, Spain and Holland, Chris is now a heavyweight contender to be reckoned with. 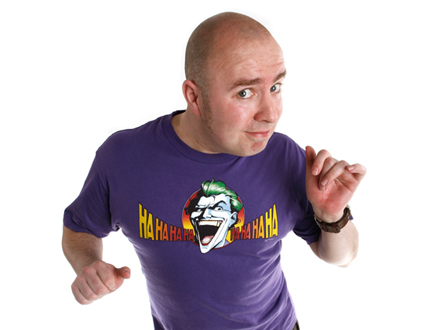 Chris is also hugely experienced on the corporate comedy scene, and has performed and and hosted events for clients ranging from giants like O2 and Liverpool Football Club to local businesses and charity events. 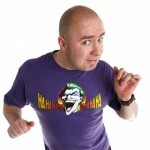 Chris is a former winner of both the Eric Morecambe and Liverpool Comedian of the Year competitions.